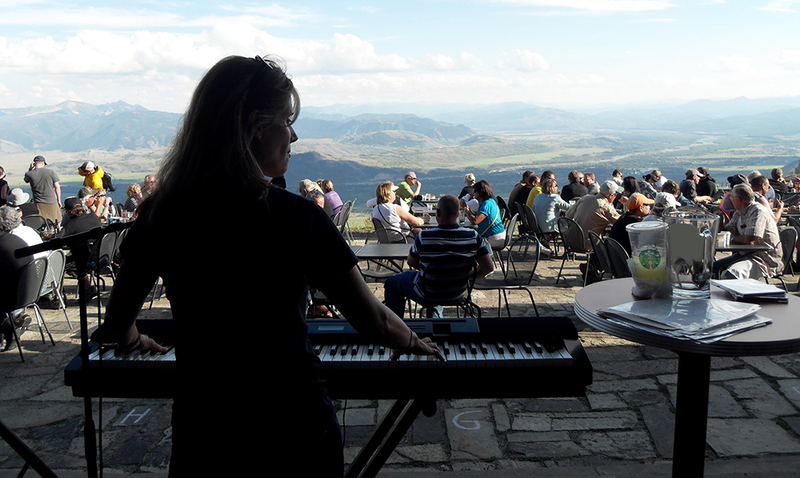 Hear Rebecca at any of her regular gigs in the Jackson Hole area all summer long. Every other Thursday starting July 14th through September 22nd. Born and raised in Los Angeles, Rebecca Ryan has been playing the piano and singing since the age of four and has evolved into a premier performing and recording artist. Her acting credits include her own series in the nightly show Comedy Break, with Kevin Pollack. national television commercials (Bud Lite, Bacardi, Dos Equis) and regular performances in daytime television (Days of Our Lives). She has recorded on Epic Records with the band Big Trouble (produced by Giorgio Moroder). Movie soundtracks include (Over the Top) with Sylvester Stallone. She has appeared in several music videos. Rebecca has also toured extensively in the US and Europe with artists such as Bobby McFerrin and has performed at the Monteaux Pop Festival in Switzerland. Rebecca has studied with top music teachers across the country including New York's Juilliard School. 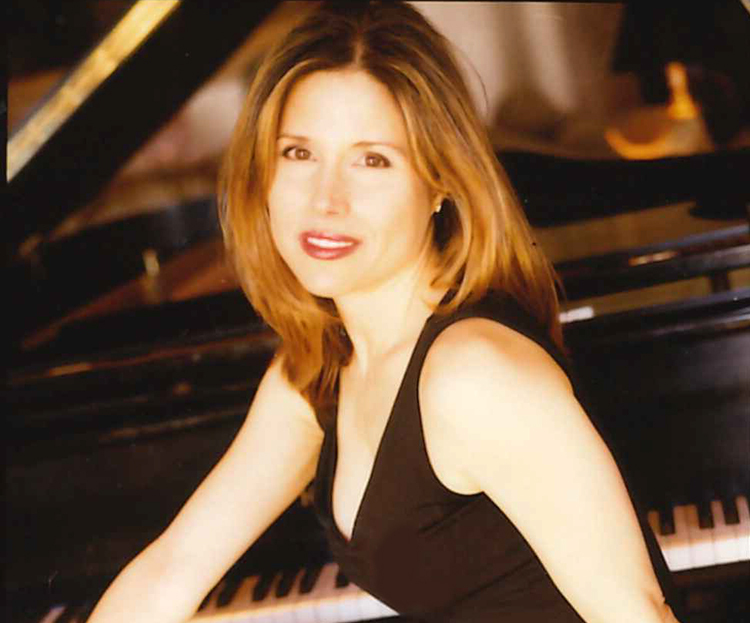 As a solo pianist and singer, she has performed at some of the world's most prestigious hotels properties including the Hotel Bel-Air in Los Angeles, Ritz Carlton Hotels (Pasadena, Marina Del Rey), and Harrah's in Lake Tahoe. 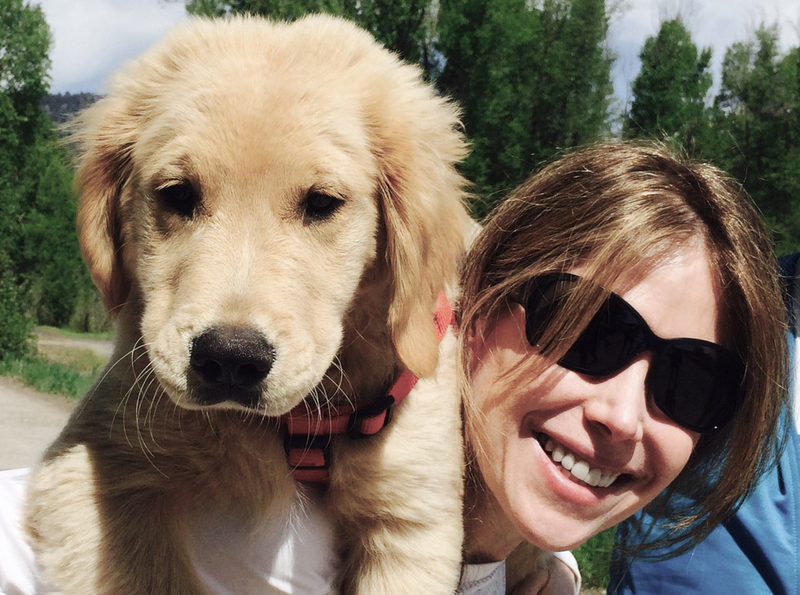 Many of her fans know her from her years at the Four Seasons Hotels in Austin, San Francisco and Jackson Hole. 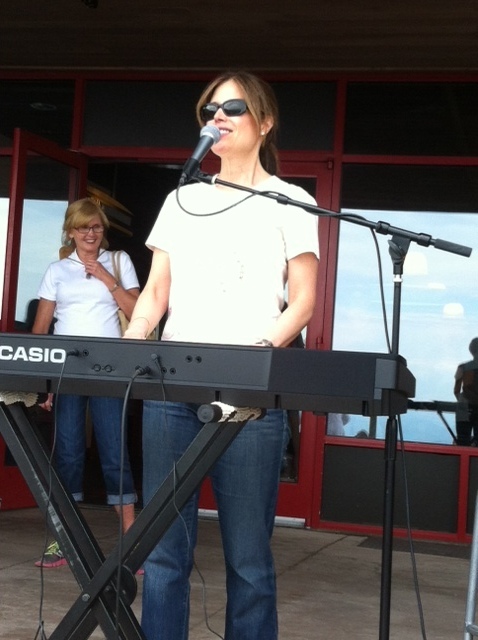 While in Austin she recorded two CDs. The first, Stardust and Dreams, is a critically acclaimed collection of standards from the Great American Songbook. Her follow-up CD, The Way You Look Tonight was recorded on Willie Nelson's Pedernales Records label. She spends winters in Scottsdale, AZ performing at the Royal Palms and the Phoenician Hotels among others. Currently she is playing at the Apache Clubhouse at Desert Mountain and also DC Ranch Country Club. 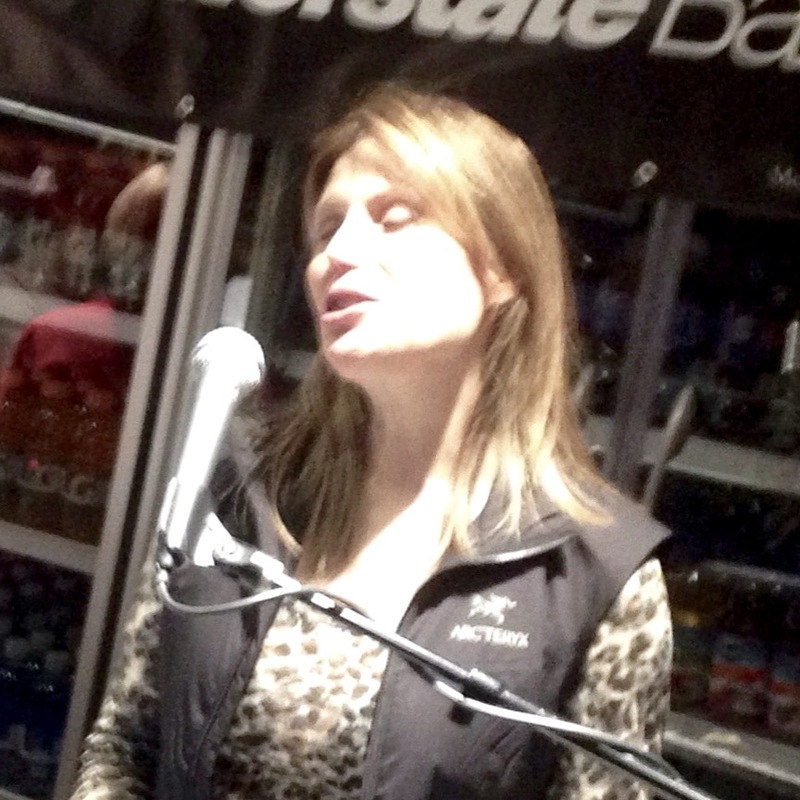 She loves playing classic songs spanning every decade from the 40's to today's current hits. Canadian chanteuse Diana Krall brought some welcome attention back to starry-eyed standards with last year's When I Look in Your Eyes, but one hardly need venture to the Great White North in search of classic American song craft. Cesar Chavez and Brazos is more like it where L.A. native Rebecca Ryan has been tickling the Four Seasons' ivories since 1997. Her brand-new CD, Stardust and Dreams, hits Arlen, Mercer, Carmichael, and the Gershwins for a softly lit suite of shimmering solo piano and slinky vocals. "The Very Thought of You," Embraceable You," "Someone to Watch Over Me," "One for My Baby" - how long has this been goin' on? One night I walked into the Four Seasons Hotel in Austin, TX and heard the sounds of the music that I grew up playing as a kid, with my mother, Bobbie Nelson. It instantly reminded me of listening to Stardust, Willie Nelson’s recordings of timeless classics he brought back to life in the 1980’s. Rebecca’s voice and piano playing made such an immediate impression, that we asked her to make a record for the Pedernales Records label, owned by Willie Nelson and myself. Today’s modern music very rarely has the arrangements, lyrics and melodies of the caliber found in these beautiful renditions. We hope you enjoy listening to Rebecca, as much as we enjoy preserving some of the most masterfully composed songs of our time. 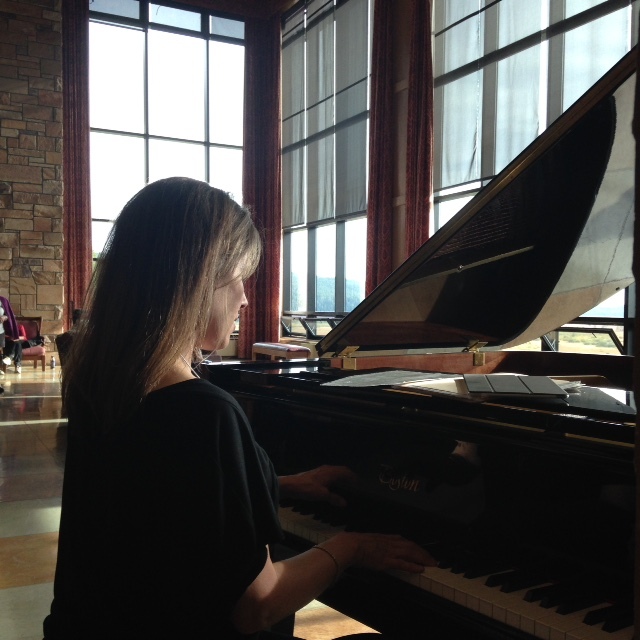 Rebecca Ryan is one of the most gifted jazz vocalists and jazz pianists to arrive on the music scene. "Stardust and Dreams" will become a classic, and if you don't own a copy, please get your CD now and enjoy some truly fine music! These wonderfully performed songs come from the decades of the 1930s and the 1940s, and Rebecca Ryan's lovely voice is a perfect match for the songs she sings so well. The songs on this excellent CD include: "You Go To My Head," "Body and Soul," "The Very Thought of You," "Someone to Watch Over Me," "How Long Has This Been Going On," "Dream A Little Dream of Me," "Come Rain or Come Shine," "Stardust," "Skylark," "As Time Goes By," "Embraceable You," and "One For My Baby." Classic songs by a new classic jazz singer and pianist that will enthrall you, enchant you, and linger in your mind with pleasant memories for a very, very long time to come! 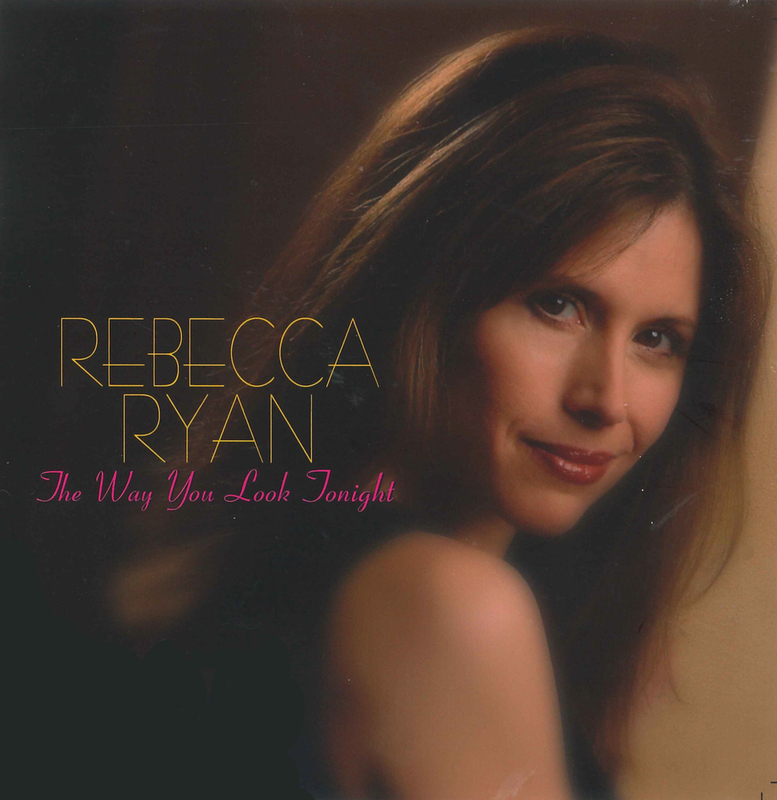 Rebecca Ryan is a wonderful talent, full of life and vitality, and shares these in-depth feelings with the listener in a highly emotional, loving, gentle vocal expression. Ryan has a great jazz voice, a voice that is memorable and enjoyable! For inquiries about bookings, purchasing an album or where to see Rebecca please send an email using this form.